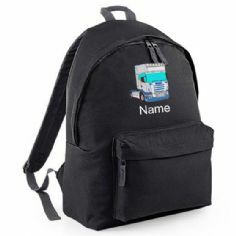 Gorgeous personalised childrens RAINBOW Rucksack (Bagbase BG125) Embroidered Backpack with your childs name. 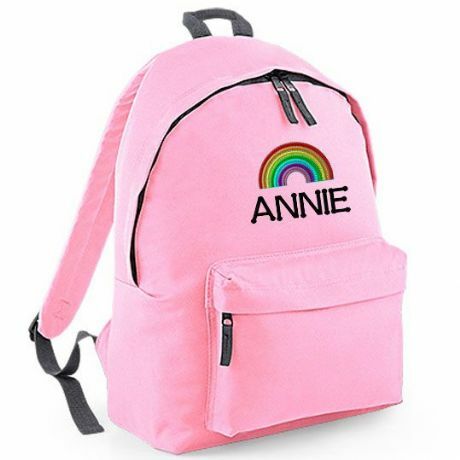 This Personalised Backpack Bag comes lovingly embroidered with the 'RAINBOW' logo and a NAME of your choice. 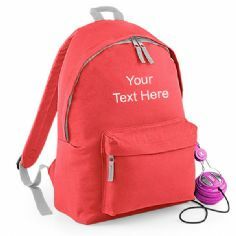 This personalised rainbow rucksack bag is ideal for holding school belongings, lunches, books, clothing. It can be used as a swimming bag, sports bag, travel bag or an everyday use bag, the list is endless. The perfect gift for rainbow fans!